These two methods will both increase the levels of dissolved oxygen in the water. The biggest difference between the two is in the percentage of saturation that can be achieved. The electrolysis method, which is the patented process of O2 Grow , can deliver 50% or more dissolved oxygen than a bubbler. A bubbler uses the oxygen from the environment which is pumped through the water with a stone or diffuser. The air bubbles will float to the surface and burst. Some of the oxygen is absorbed into the water, but the level of dissolved oxygen will be limited to the level of oxygen in the air. 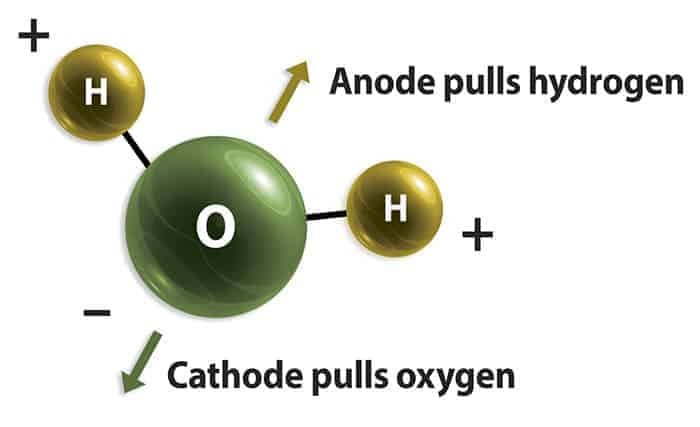 With the O2 Grow electrolysis process, the hydrogen and oxygen are actually separated from the water molecule. The electrolysis process creates nano bubbles. The nano bubbles of hydrogen rise to the surface and burst, while the oxygen bubbles are easily absorbed back into the water effectively super saturating the water with oxygen. Because the process creates the oxygen molecules from the water molecule itself, there is no real limitation and a much higher level of dissolved oxygen can be achieved. Additionally, the electrolysis technology utilizes a very economical low voltage process and does not impact the temperature or pH of the water being oxygenated. Dissolved oxygen (DO) refers to the amount of oxygen that is contained in solution. The amount of oxygen that can be held by water may be influenced by water temperature, salinity, and pressure. The concentration of dissolved oxygen in water is expressed in milligrams per liter (mg O2/L), parts per million (ppm), or percentage saturation (%O2). Dissolved oxygen levels are considered most important and commonly employed measurement of water quality as well as ability to sustain plants or aquatic life. The patented dissolved oxygen generator technology used in these experiments generates extremely high levels of dissolved oxygen in water for surface watering, hydroponic and other applications. This science will be especially helpful with farms with low dissolved oxygen in well water.